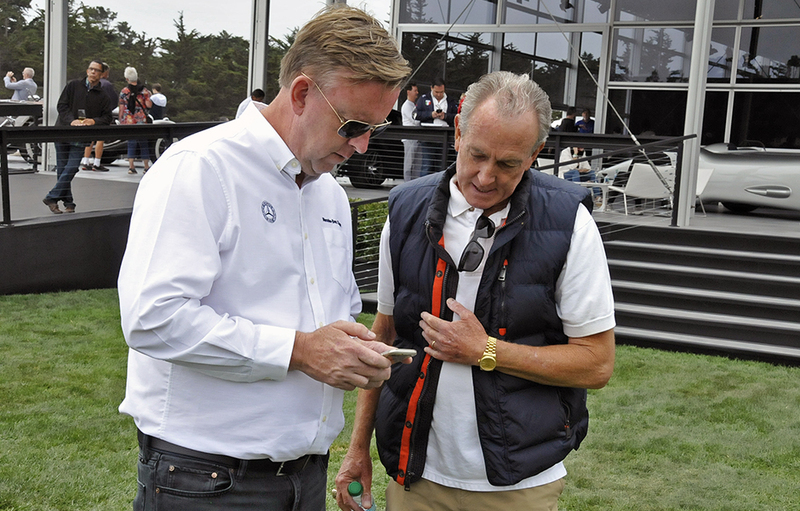 As my brother and I chatted with Mercedes-Benz Classic Center Irvine director Mike Kunz, I quizzed him on the meaning of the large sharply sculpted white horse staged at the edge of the display area. He replied that the age of the automobile that the Benz Patent Motorwagen ushered to life in late 1886 was in fact all about horsepower, defined in that era as a horse’s ability to raise 330 pounds of coal 100 feet in one minute. There was a brief period when humanity scoffed at the noisy, smoky contraption that Benz was developing and many felt his Motorwagen would never replace the horse as a powerplant. 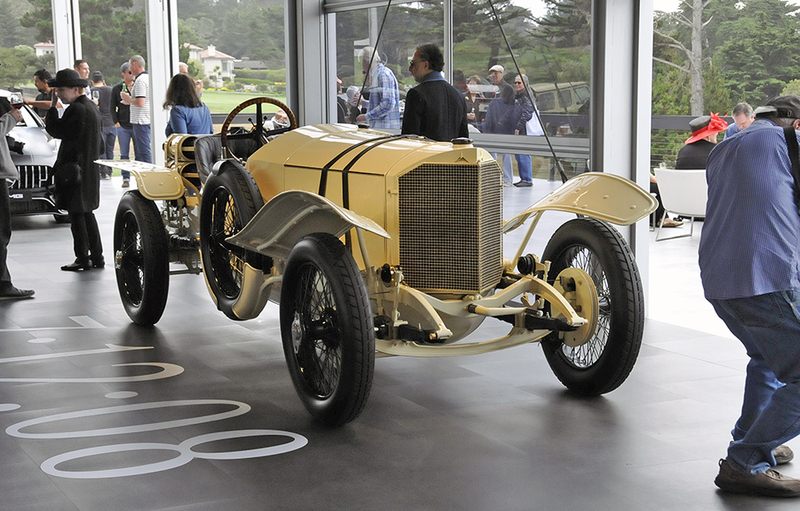 But Benz prevailed and established the basis for a 132 year arc of ever increasing horsepower and sophistication that was celebrated in fine style in Pebble Beach in August. 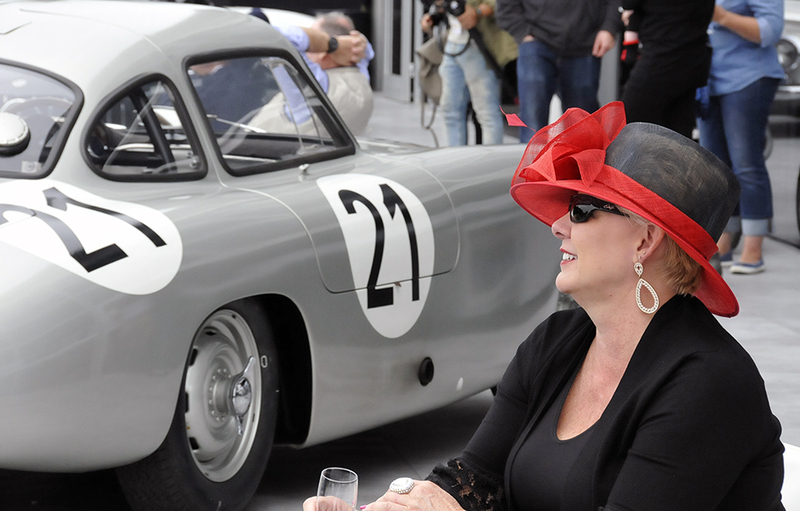 The Classic Center put together a thoughtful display that included some well publicized old friends and a number of intriguing never before seen pre-war cars. Greeting visitors walking up the stairs to the open air pavilion was a menacing monochromatic silver arrow with enclosed wheels and as slippery a shape as could be conceived in 1938: It was the epic V12 W125 streamliner record car. Emblazoned on the floor adjacent to the car was the number 432.7, the speed in kilometers achieved by Rudolf Caracciola on 28 January 1938 on the newly constructed Autobahn. How many ‘horses’ were required to reach 268 mph? 736. 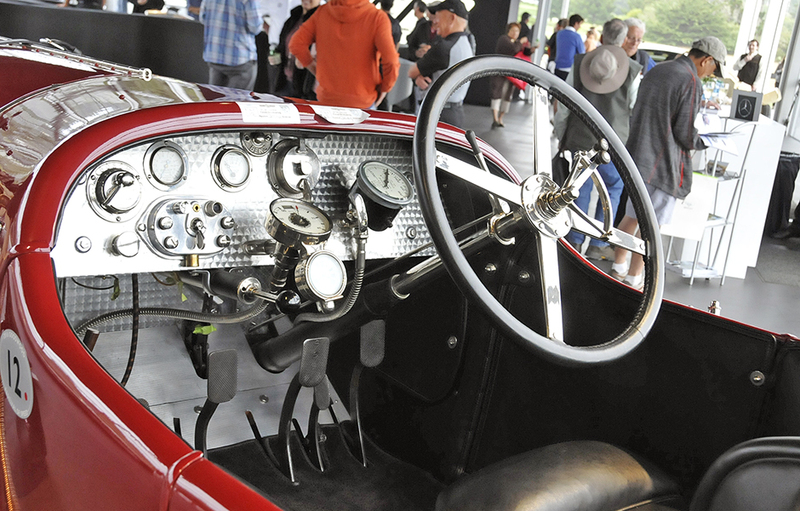 Kunz explained that the Classic Center in Stuttgart had painstakingly constructed a replacement body – the original magnesium body hangs in the museum – to clothe the original chassis and running gear for this year’s display. Fabulous. Autobahn stormer. A brave Rudi Caracciola achieved 268 mph in 1938 with 736 hp 5.6 litre V12. Engine cooling was assisted by ice to allow a minimal engine air intake up front. 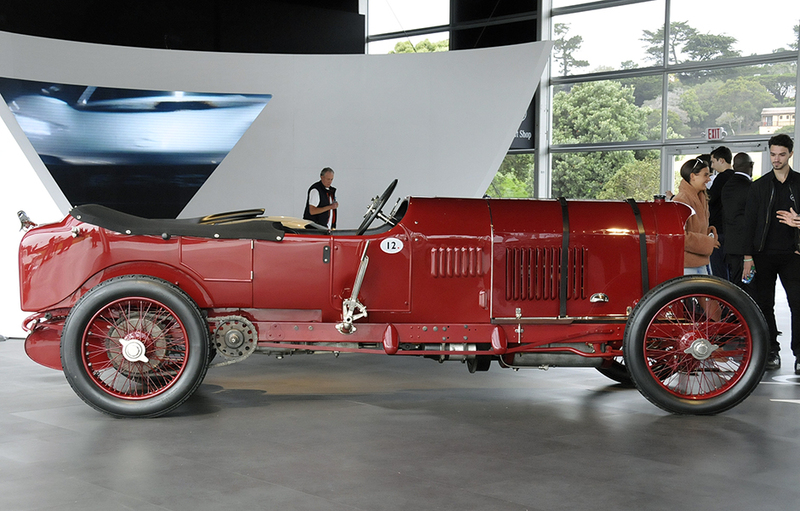 The vast and rare chain driven 1913 200 hp Blitzen Benz 4-passenger tourer was a revelation and requires no less than five pedals to operate. 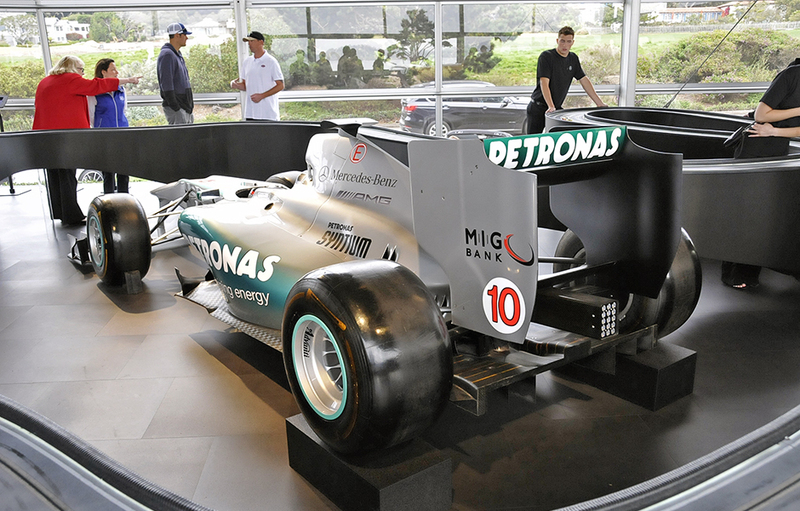 Its 200 hp required a 21.5 litre capacity, 10 times the displacement of the current C 300’s 200 hp 2.0 litre turbo four. 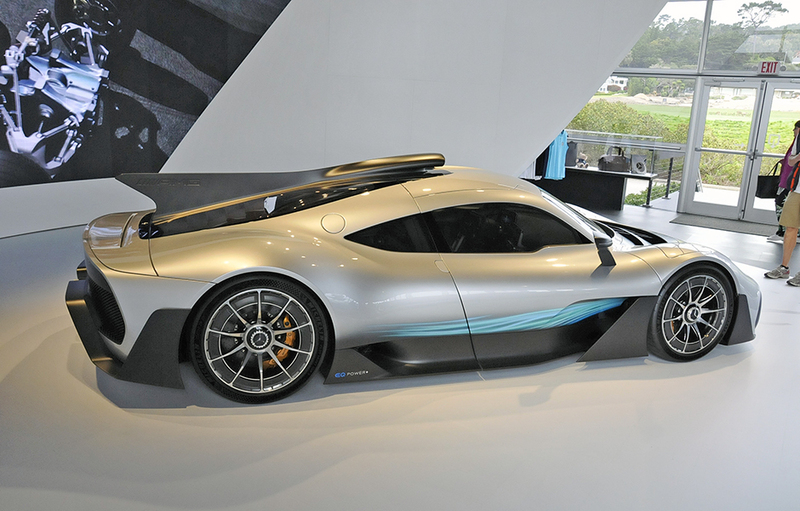 It can be said that the horsepower arc begun by the Patent Motorwagen culminates (at the moment) with the newly named and soon to be in production Mercedes-AMG ONE with its combined petrol engine/EQ power output of nearly 1,000 HP. And a top speed of 217 mph. 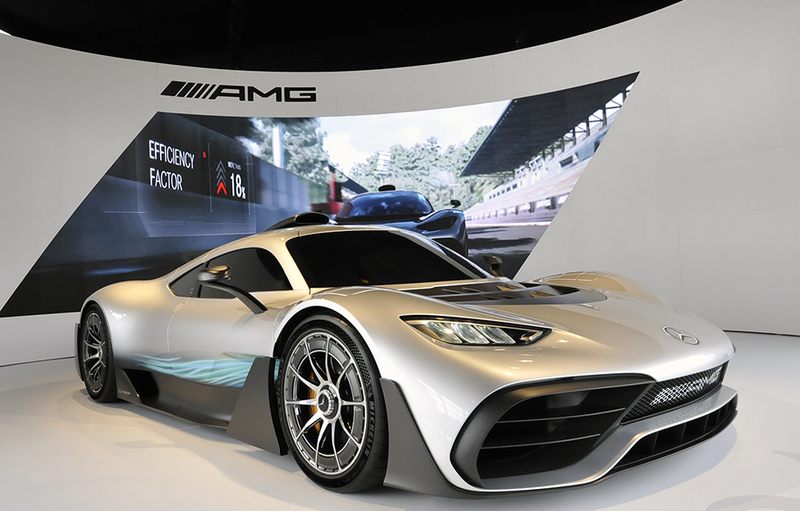 A pre-production prototype of the globe’s newest hypercar, the Mercedes-AMG ONE. 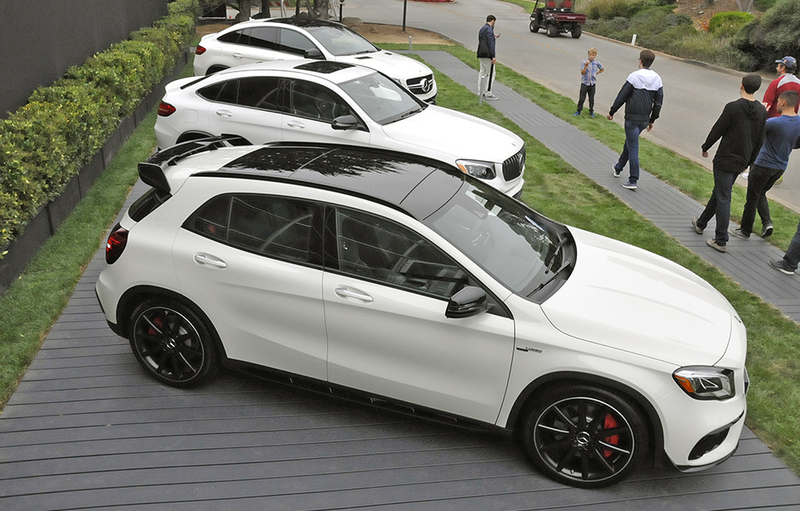 Formula One technology for the road. Deliveries (might) begin in late 2019. Fantastic one-off 4 passenger 200 HP Blitzen Benz Tourer. 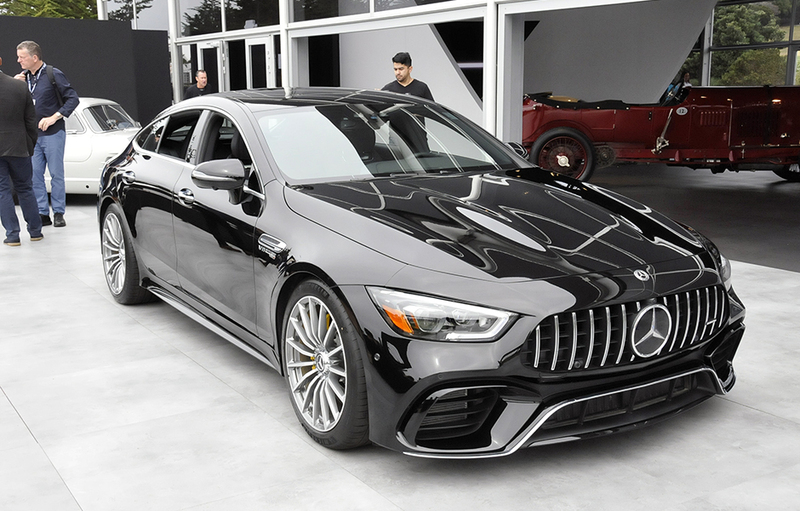 Monterey was also the coming out party for AMG’s third complete vehicle, the Mercedes-AMG GT 4-Door Coupe, a probable Porsche Panamera challenger. 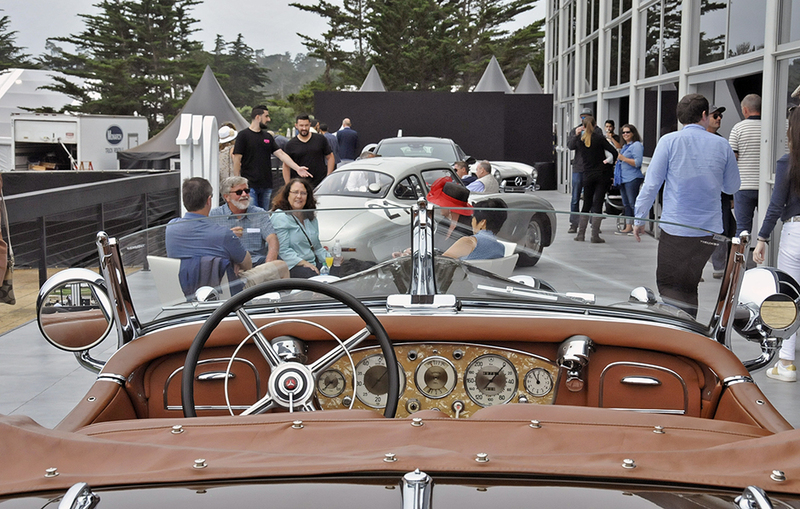 And we can’t forget Gorden Wagener’s latest flight of fantasy, the clever Vision EQ Silver Arrow which graced the dream car display in front of the Lodge at Pebble Beach. Have a look at the gallery below for images of the Classic Center’s exceptional display. Otherworldly Vision EQ Silver Arrow. The more you looked, the more intriguing the car became. 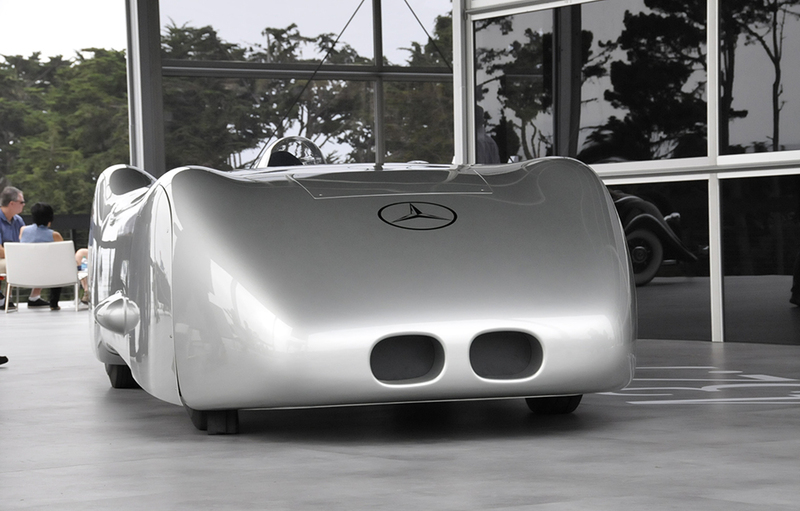 The face of 1938 W125 record car. 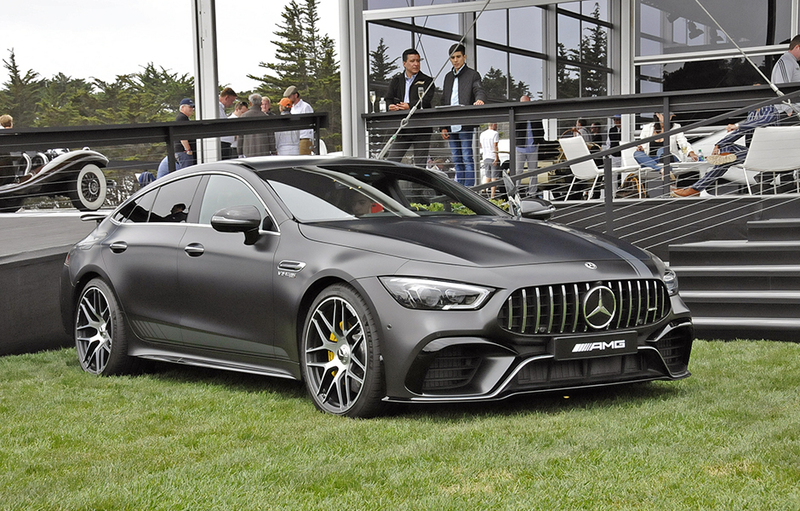 New AMG GT 4 door in matte black. 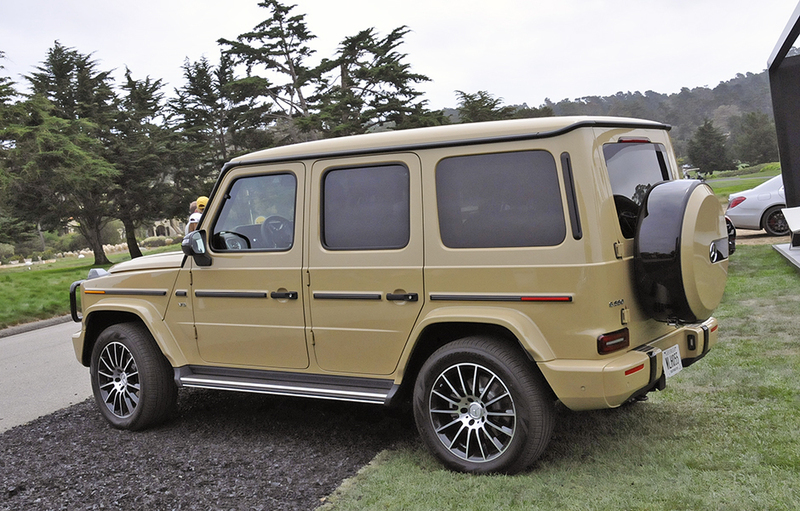 The G-Wagon lives on with an upgraded platform. 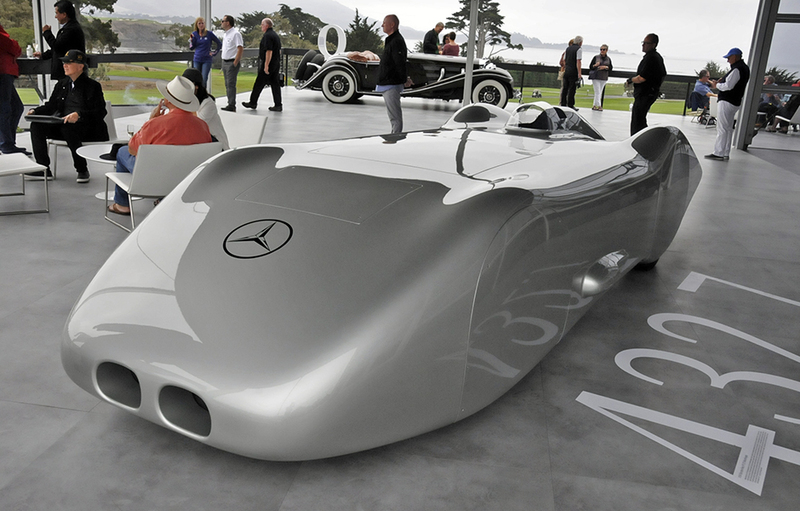 Can't get enough of the W125 streamliner. Faired exhaust outlet visible. 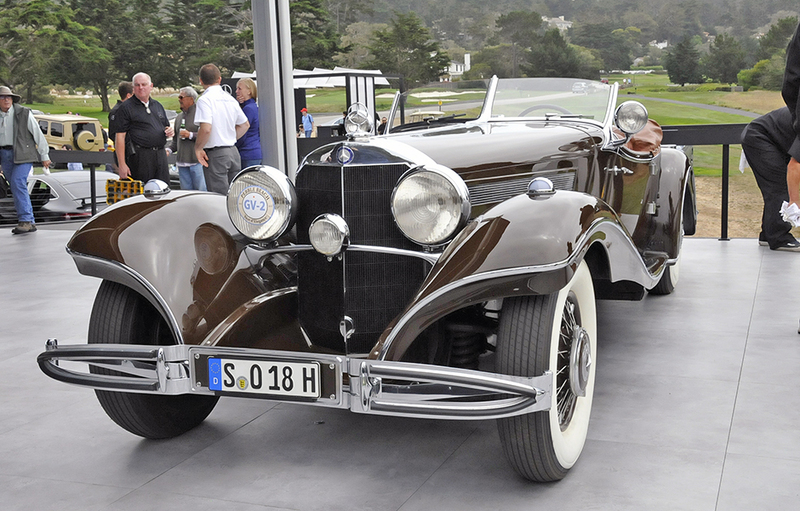 1935 Mercedes-Benz 500 K Special Roadster a familiar face. Chilling on the veranda among Silver Stars. W194 forms a unique background for a glass of wine. 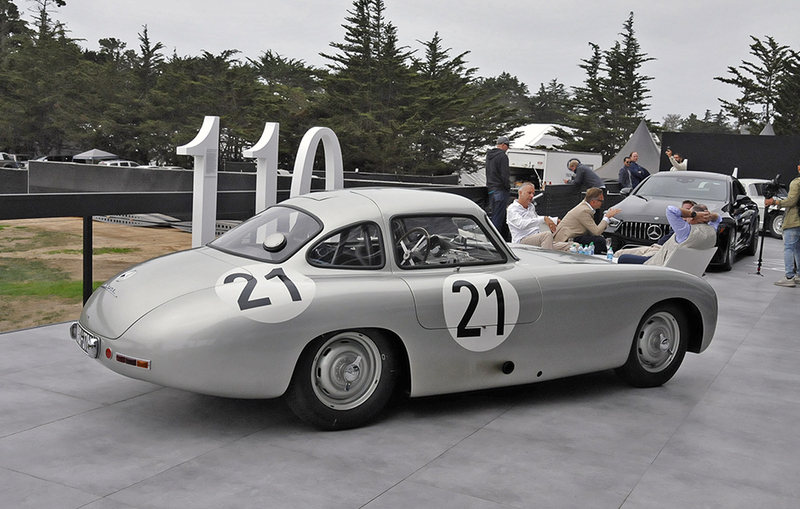 W194, the father of the W198 Gullwing. 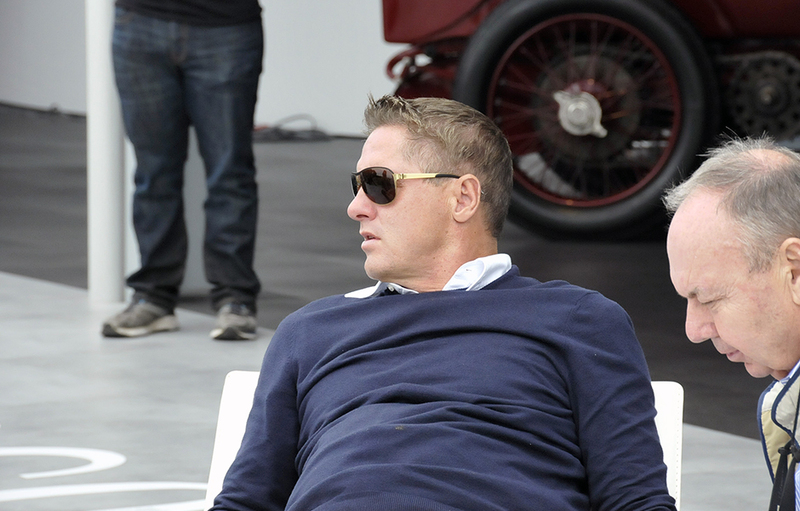 MB's design guru, Gorden Wagener, chilling as well. His Vision EQ Silver Arrow sas a hit. 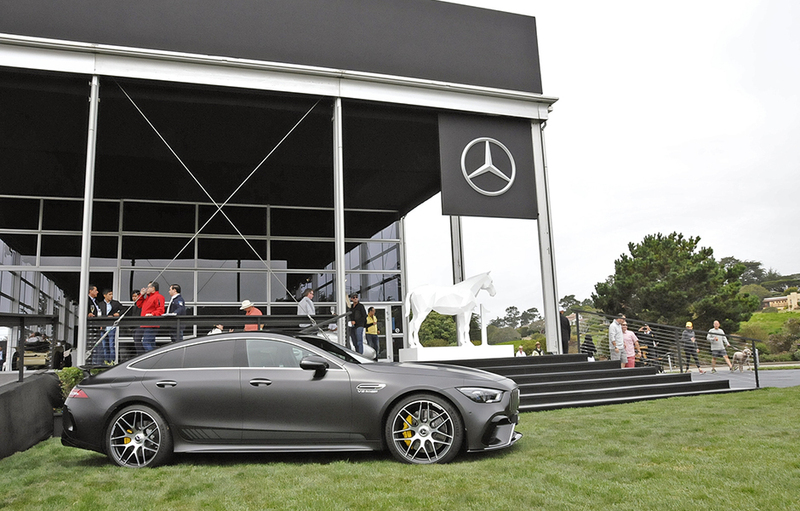 New AMG four door GT. Mercedes-AMG ONE: 1,000 hp and 217 mph. Mercedes-AMG ONE production sold out. Deliveries expected in late 2019. 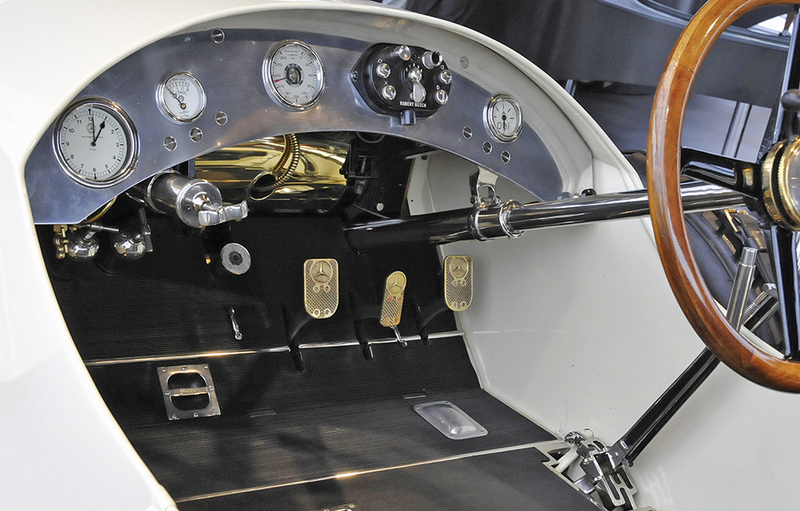 The helm of the one and only Blitzen Benz 4-passenger tourer. Last year's Laguna Seca slot car track was back for the kids. 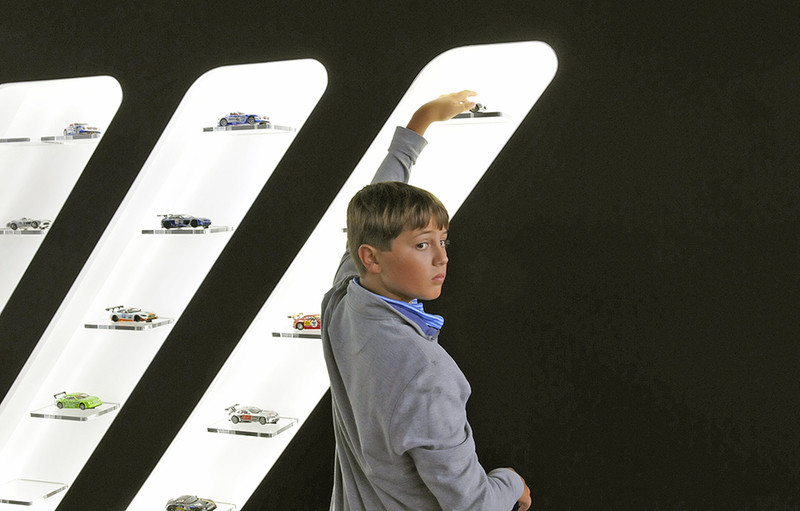 Dream slot car selection a hit for young enthusiasts. Classic Center director Mike Kunz explains his intriguing display to Tony Spencer. 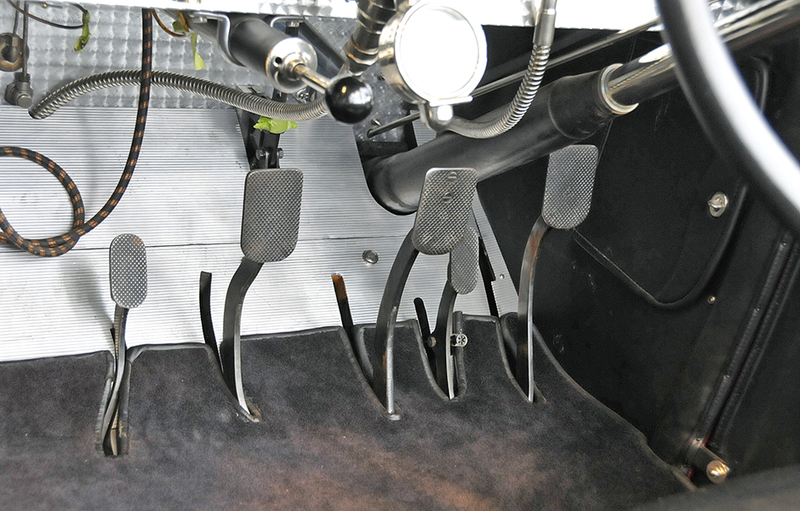 Piloting the Blitzen Benz requires 5 pedals and numerous plungers. 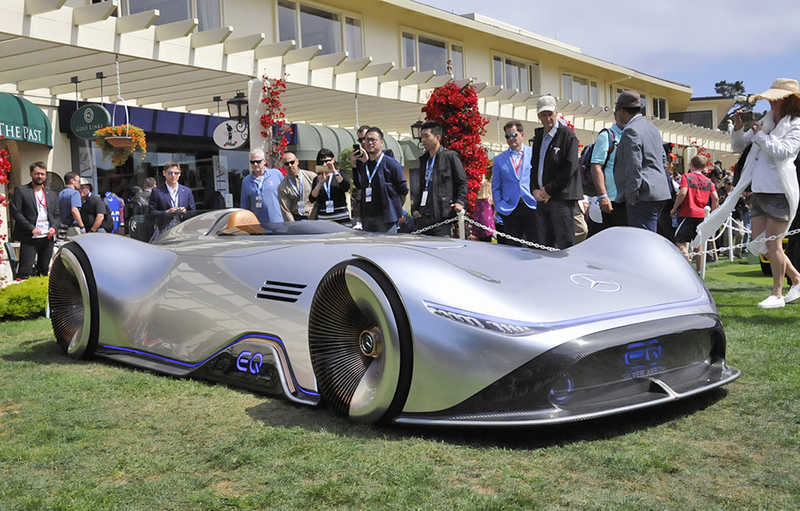 Vision EQ Silver Arrow wowed crowds at Pebble Beach Concours.